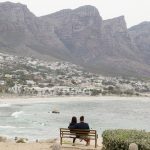 After our whirlwind trip to Cape Town, we jumped on a small plane (only 8 seats plus the two pilots) for an hour and a half flight to the Kalahari Desert. 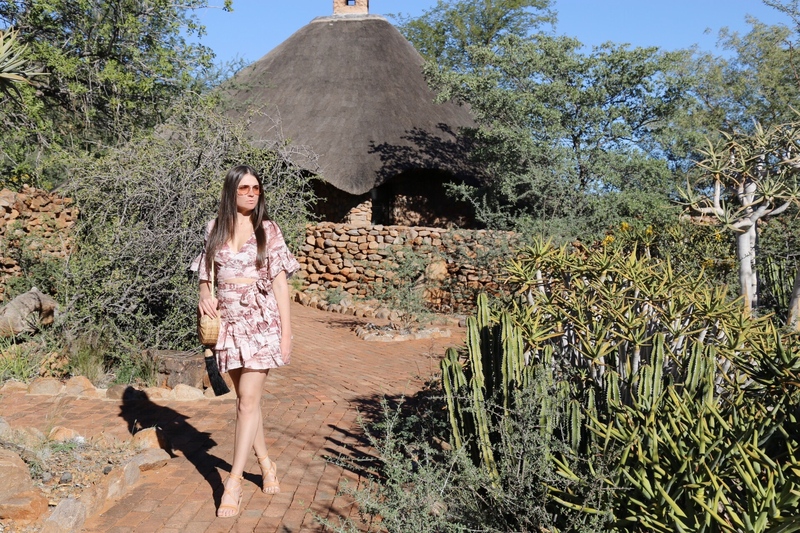 We stayed at Tswalu Kalahari, which is South Africa’s largest private game reserve, now protecting over 110,000 hectares of grasslands and mountains. 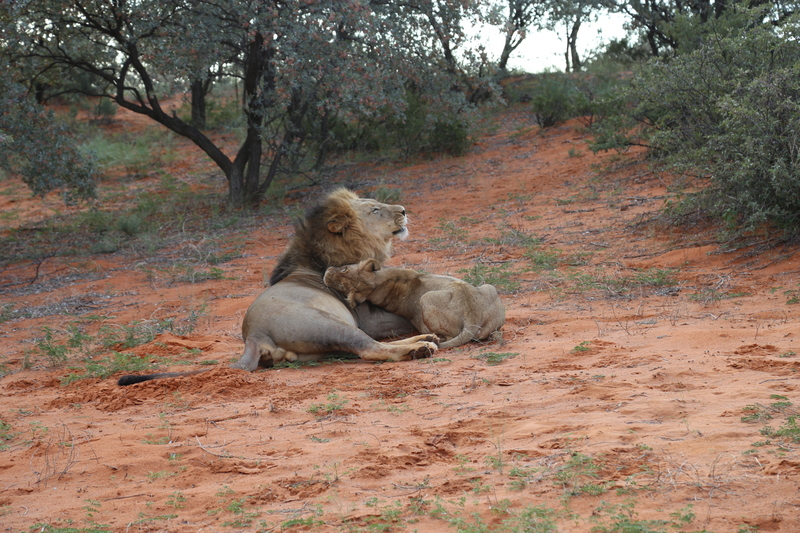 What we loved most about this particular reserve is their conservation efforts. 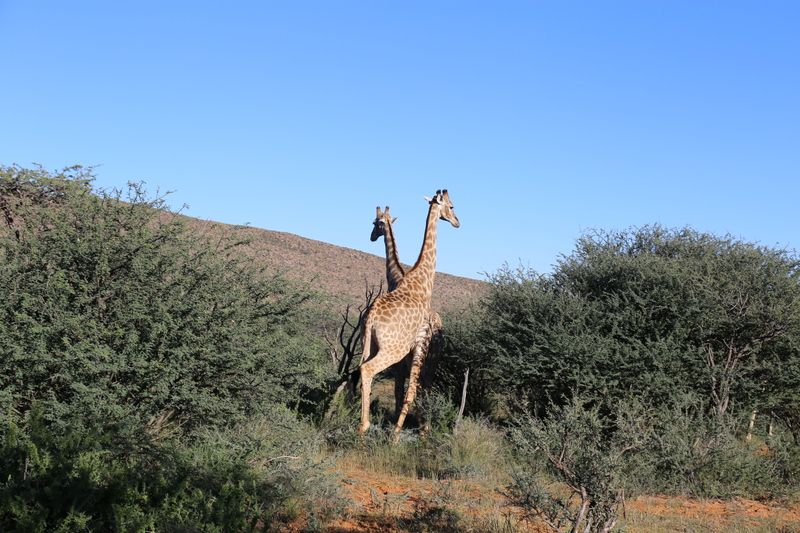 There are no more than 24 guests at a time, giving it not only an intimate experience, but a conscious one – for all of the plants and animals that inhabit this majestic landscape. 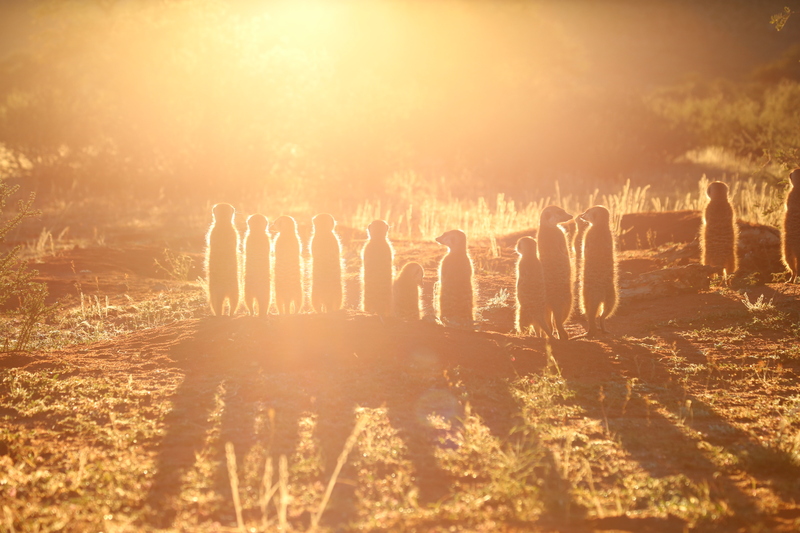 I’m not a morning person, but I quickly became one, waking up between 5 and 5:30 AM everyday, as sunrise and early morning, as well as late afternoon and sunset, is when animals are most active – and my God were they right about that. 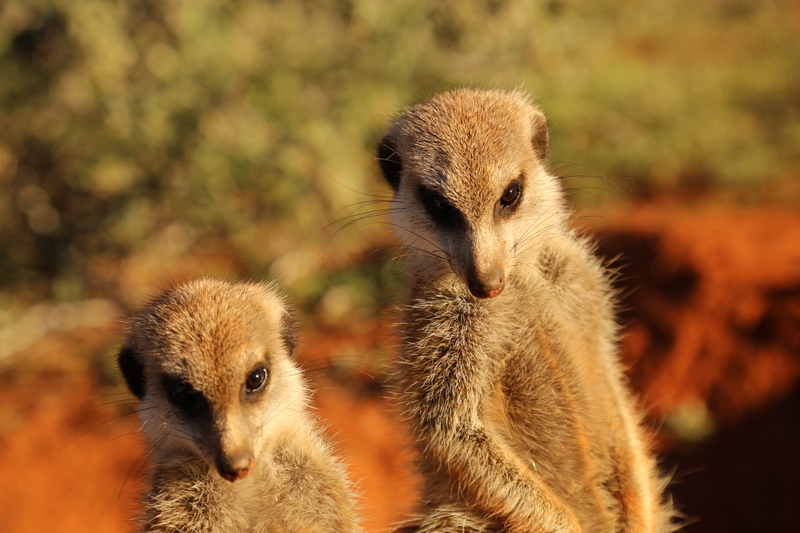 We saw everything from lions to meerkats, giraffes to cheetahs, and everything in between. 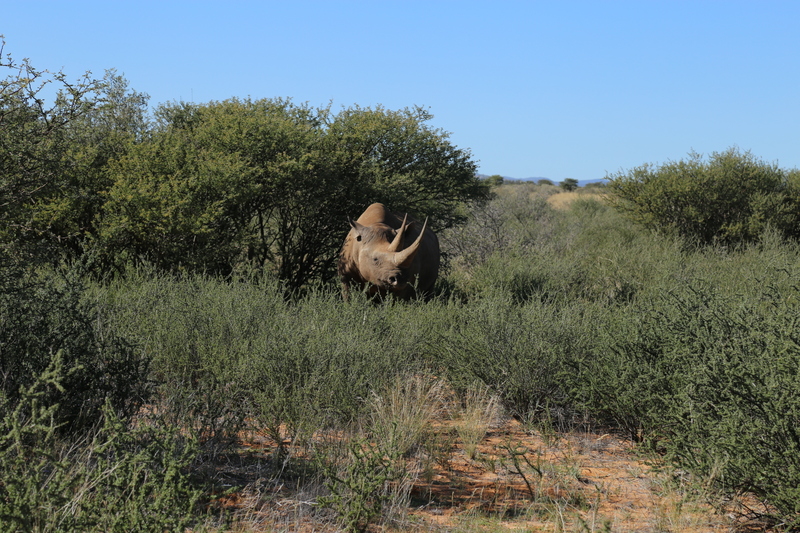 Driving in an open Landrover, we were able to get so close to these incredible creatures, in their natural habitats, with the help of our guide Moses and masterful trackers, all from the area. 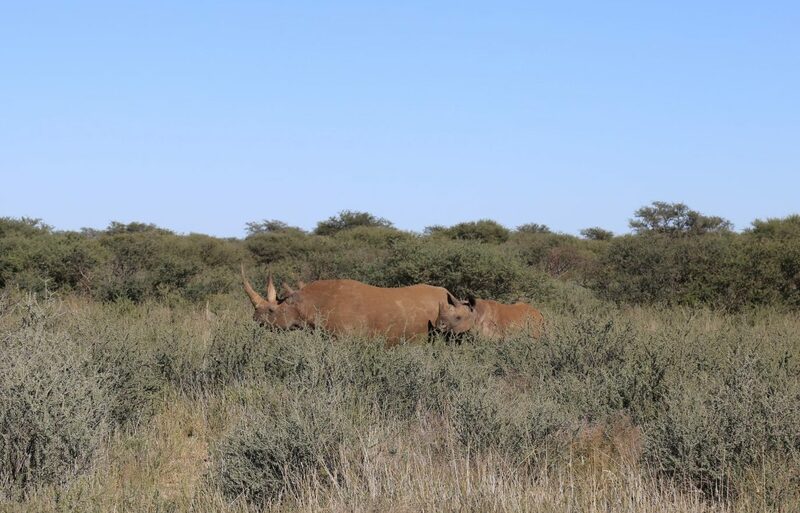 The day after we arrived, we had the privilege to see black rhinos, which are extremely endangered due to poaching (a mother and her two and a half year old, along with a young male bull). 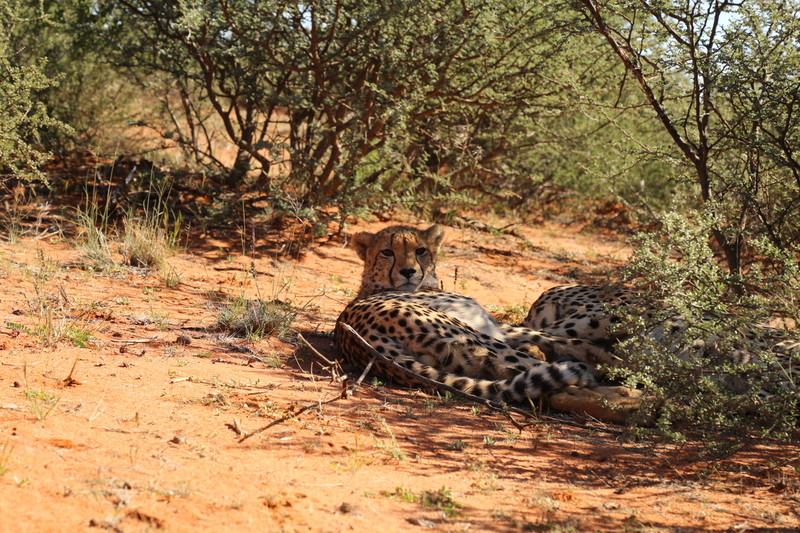 We tracked them for over two hours, at which point we decided to take a break and enjoy the morning sunshine and a coffee. As soon as we set up, our radio went off, saying another group had finally found them! We raced over and were able to see all three together, and then watch momma and baby eat together. 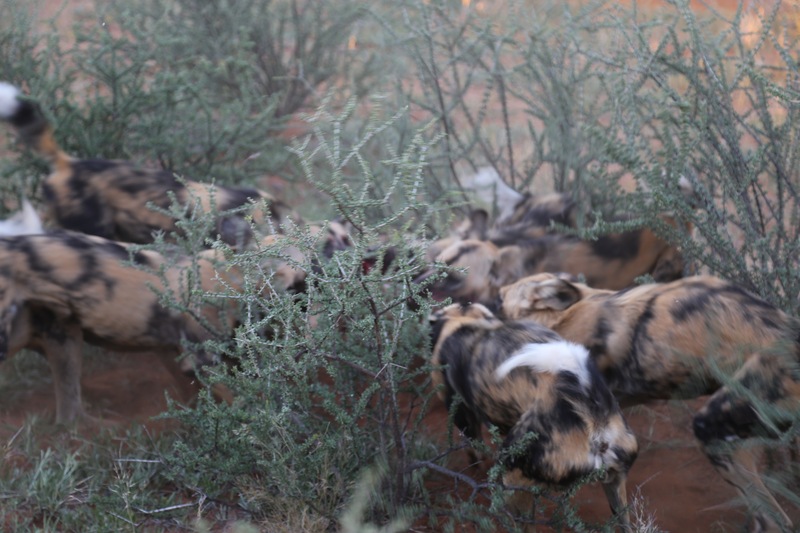 We were also able to track and find a pack of wild African dogs, which are also endangered, hunting for food. 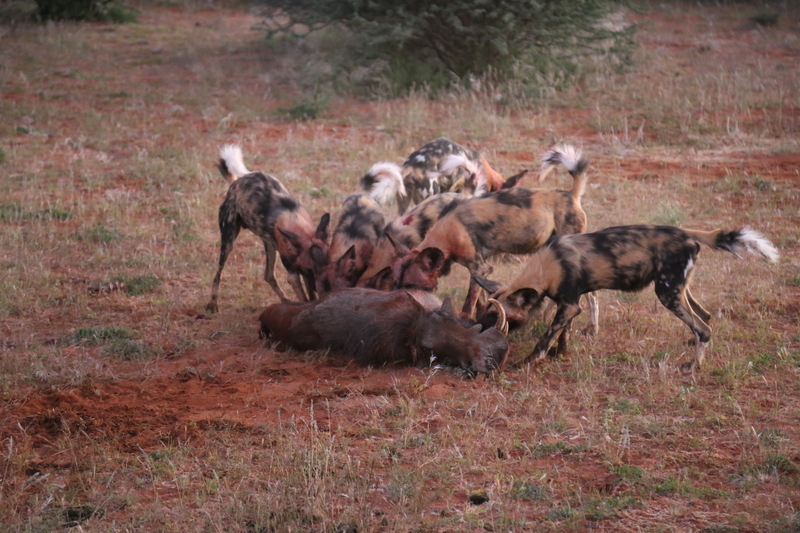 This particular pack, a pack of nine dogs, had one female back at their den because she had JUST given birth likely the week before. 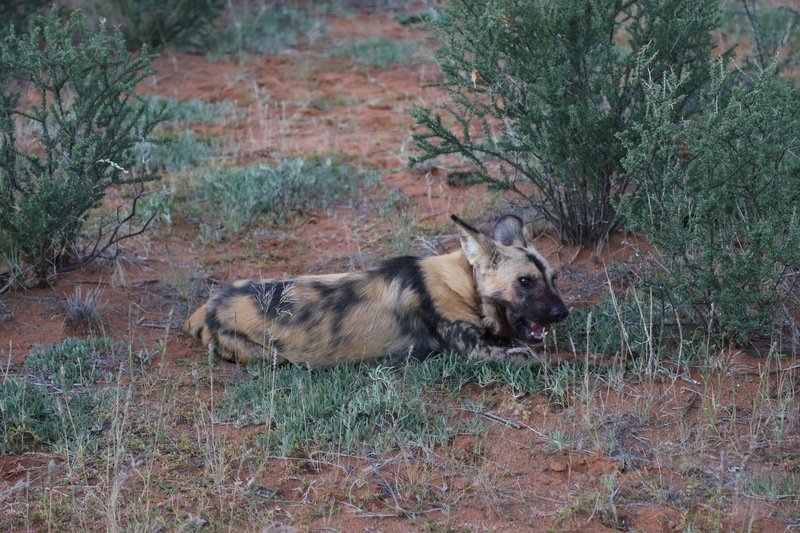 These dogs have grown up in the reserve so were extremely comfortable having us around, so much so, that they let us follow them on their hunt. Needless to say, they were successful, taking down a male warthog. 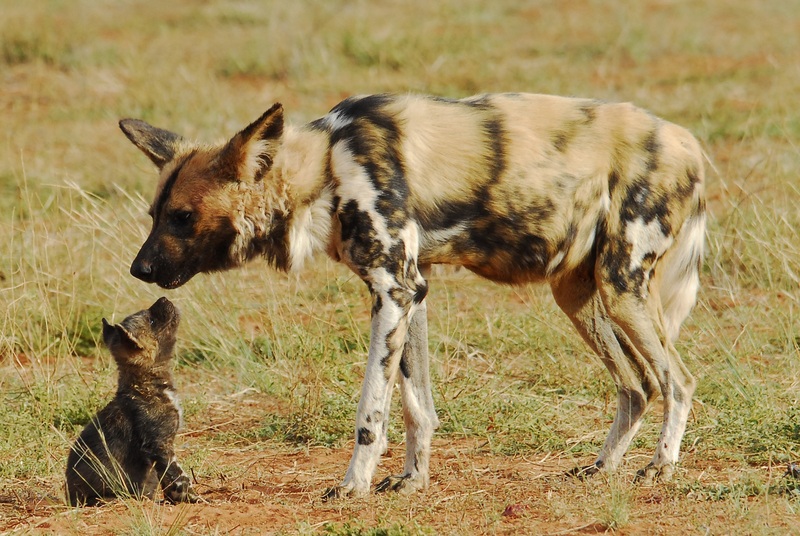 The pack ate as much as possible, so they could regurgitate it, and feed it to the new mother back at the den with her pups. 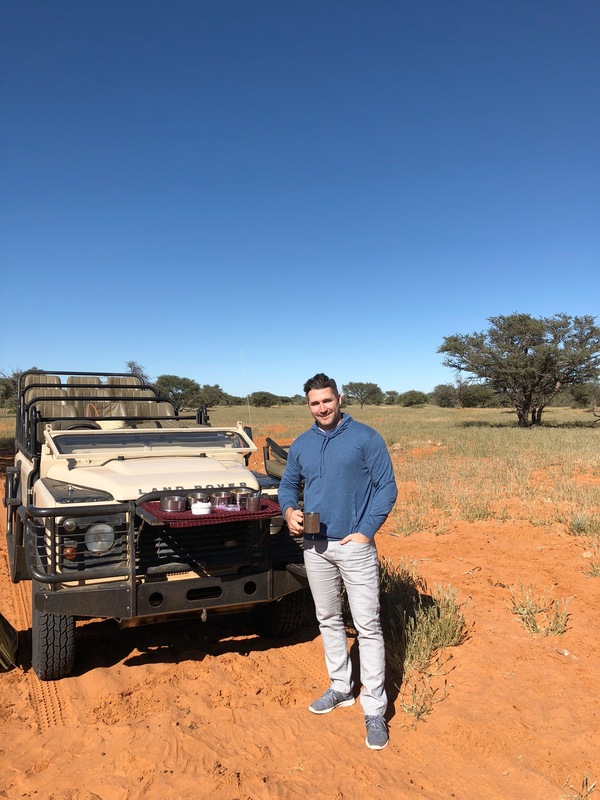 Not only did we get to enjoy the landscape of the Kalahari desert and observe the creatures who reside there, we also enjoyed meeting others who shared our love for nature and adventure, from all over the world. We dined, we soaked up the sun and enjoyed some fine African wine. Though we only stayed a short three days, we savoured every second, and experienced life-changing moments we’ll never forget. For this trip I had to pack smart (see What To Pack: South Africa for reference), but I didn’t sacrifice style. Here are just a few looks, and where to get ’em. 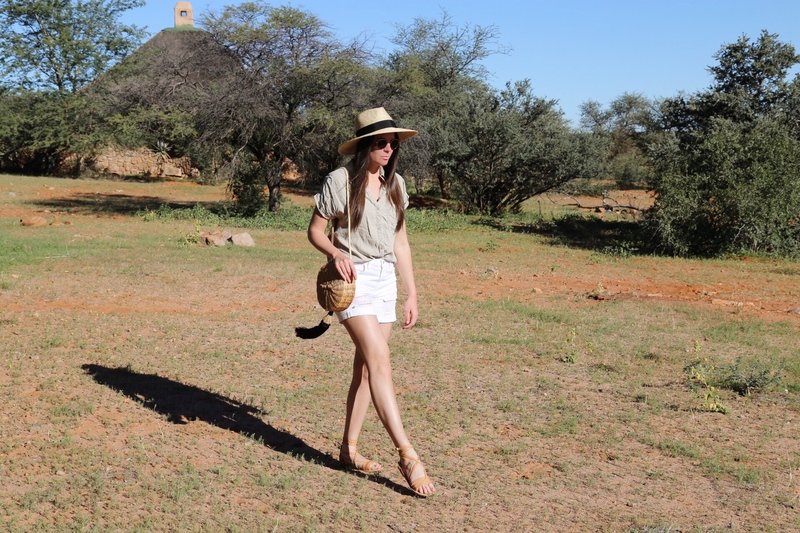 From the desert to the lush forests of Kruger National Park, stay tuned for our next adventure through South Africa, on the blog. 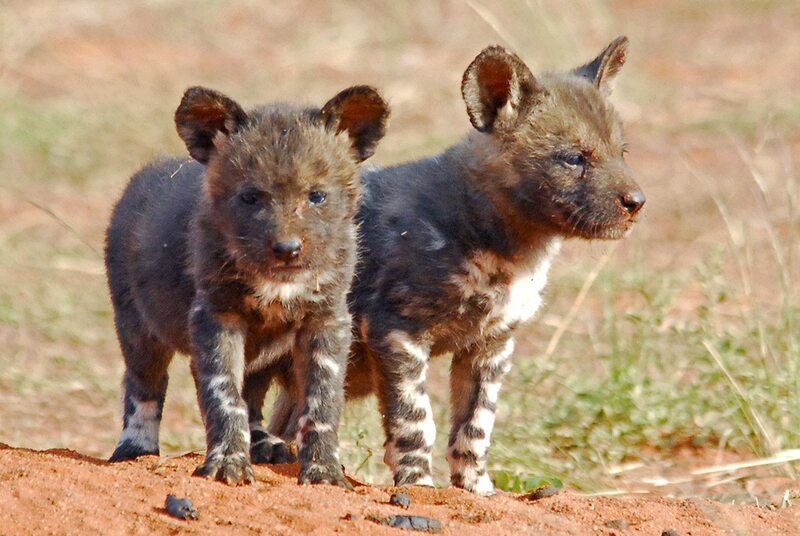 All images are my own, with the exception of the two wild African puppy pictures, which are from Tswalu’s official blog. All Rights Reserved.